Last year, proponents of U.S. tax reform expressed their goal to enable taxpayers to file returns “on a postcard.” Of course, this was not to be taken literally. 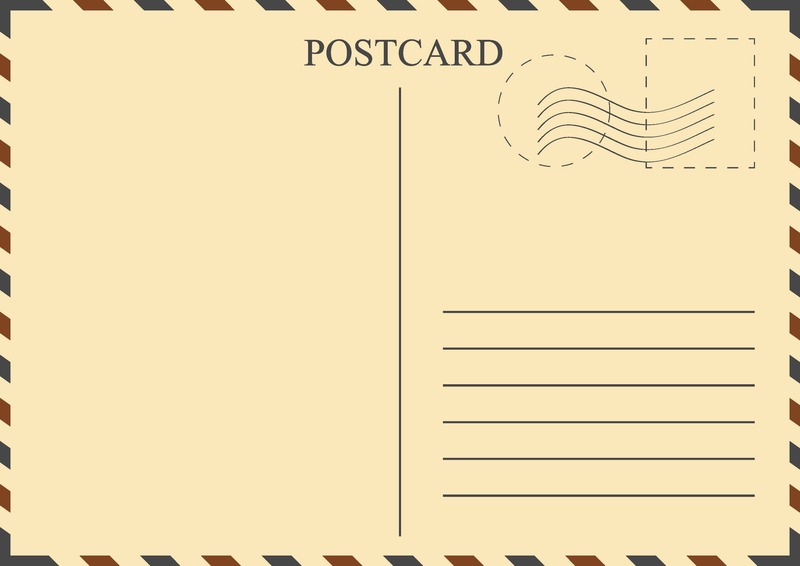 Filing a postcard tax return would be fraught with many issues, chief among them the security of your personal information, as postcards are not generally mailed in envelopes. Instead, the postcard objective was symbolic of the intent and desire to simplify the tax code, do away with intricacies and caveats, and streamline U.S. tax reporting. The thought was, if you simplify tax reporting, the standard Form 1040 tax return could be a fraction of its former size, shrunk to the size of a postcard. So, did they succeed? Will you be able to file a “postcard” tax return next year to report your 2018 taxes? So, were things actually simplified, or did content just move from one part of the tax return to the other? The answer is: a little of both. In some ways, the tax code was simplified, and in others, it was rendered more complex (resulting in somewhat of a wash in terms of simplification). Plus, some content was moved from the Form 1040 to other schedules. It is important to understand that the Form 1040 itself (in its old and new versions) is just a summary of all the information contained on the supporting forms and schedules in the rest of the tax return. The new 2018 draft Form 1040 is indeed shorter, but it is still merely a summary, so the bulk of most taxpayers’ returns will reside in the numerous forms and schedules. For example, take the common situation of a husband and wife who file joint returns and have two children. The husband is a self-employed consultant, and the wife receives W-2 employment wages. They pay daycare expenses for their children. They have some investment income—interest, dividends and capital gains—and their combined annual income is over $300,000. In addition to the wife’s withholding, they make quarterly estimated tax payments. Under the current tax return filings, they would be required to file the Form 1040, Schedule B, Schedule C, Schedule D, Schedule SE, Form 8960, and Form 2441. Under the new tax return regime, they will be required to file the Form 1040, Schedule 1, Schedule C, Schedule D, Schedule 3, Form 2441, Schedule 4, Schedule SE, Form 8960, and Schedule 5. Their tax return grows from 7 forms to 10 forms. What does this mean for you for your returns next year? In general, the changes will have little impact on the amount or type of information you need to provide to your accountant (or gather yourself, if you prepare your own returns). If you had interest, dividend, capital gains, rental, self-employment, or other non-W-2 income, your returns will still include the various forms and schedules you have seen in the past. The same is true for dependent care expenses, education credits, foreign tax credits, and other common credits. Fewer taxpayers will file Schedule A, Itemized Deductions. Many of the tax law simplifications discussed in the media affect this schedule, and more taxpayers will claim the standard deduction for 2018, reducing the number who itemize. Your returns will likely include additional schedules for the information that has shifted from the Form 1040, as well as for items that have become more complicated, such as self-employed business or partnership expenses. If you have foreign bank accounts or other foreign financial assets, you will still need to file Foreign Bank Account Reports (FBARs) and certain forms and schedules with your tax return, assuming you meet the filing thresholds (which have not changed). If you have ownership in foreign businesses, you will likely need to file additional forms and schedules. The IRS has changed the taxation of foreign business income, and the new rules and filing requirements are still being worked out (see our article on outstanding issues left to be settled). In sum, your return will indeed include a “postcard,” but that postcard will be attached to your normal stack of forms and schedules (give or take a few forms).